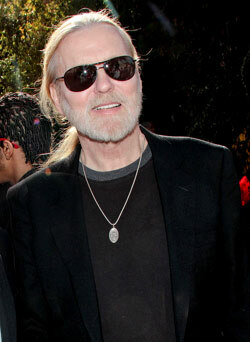 Gregg Allman plans to record his next album in one of the south's legendary recording studios. Allman will head to Muscle Shoals, Alabama's FAME Studios in March to start sessions on an album with the working title All Compositions By Gregg Allman. Don Was has been tapped to handle production. The news comes from Gregg's guitarist Scott Sharrad via Glide Magazine. FAME Studios is legendary for having produced seminal works from Wilson Pickett, Otis Redding, Aretha Franklin in the 60's backed by FAME's house rhythm section. The signature sound carried over to the 70's when a second ryhtym section, dubbed the Swampers, carried on the tradition and bridged the appeal of recording there to Rockers, including Lynyrd Skynyrd, who paid tribute to them and the studio in Sweet Home Alabama.